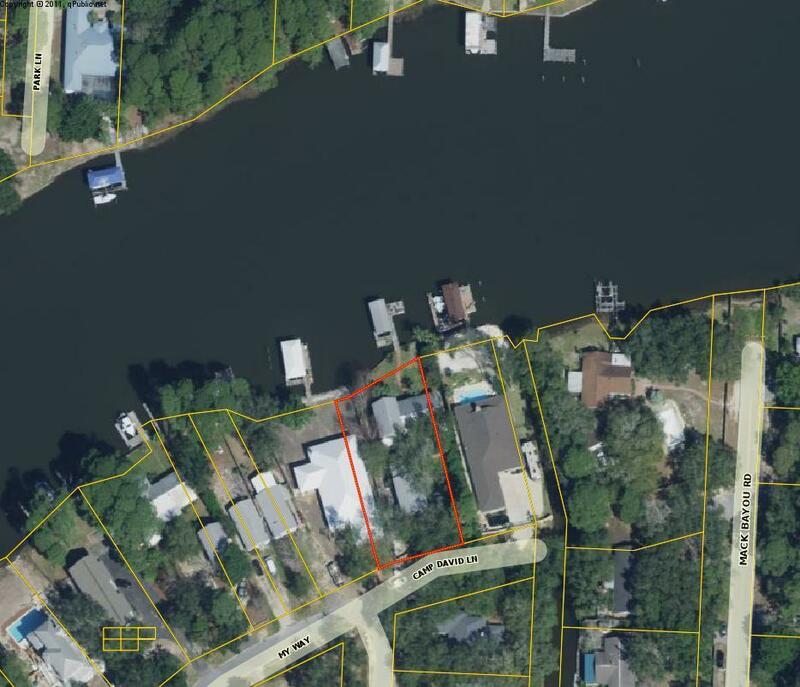 Located on Buck Bayou (deep water) w/ dock and boat lift near Sacred Heart Hosp, Grand Blvd, Carmike Theater, Silver Sands Outlets, and the Beaches of South Walton. Master Bedroom on the First Floor with 2 BR and BAs on the second floor, Wide Plank Oak Flooring Throughout First Floor Refinished and Interior/Exterior painted August 2018. Large Screened Porch with Natural Gas Fireplace, Separate Guest Quarters Features Slate Flooring, Living Area, Bedroom and Bath, Microwave, Dishwasher and Wired for Cooktop and Stack Washer/Dryer. Oversized Garage has Work Area and a Climate Controlled Room on the 2nd Floor with Plenty of Additional storage (Not Climate Controlled). Exterior is Hardi-Board with brick paver drive and sidewalks.